As you may be aware, a Results-Only Work Environment is a place where all team members have the freedom to define how they manage their time and locations. ROWE is not telework, flex-time, or a “work from home” program. However, one of the by-products of a ROWE is that not everyone is always together in the office at the same time. We often have team members who regularly get their work done from home, from coffee shops, from other states, and in the office. Because of this, we rely on technology to make sure we create an environment in which it’s easy to collaborate even if team members are sometimes in different locations. Without a doubt, Skype is the workhorse of our virtual collaboration. Our team members tend to leave Skype open (including on mobile devices) during times when we are ready to be available. It doesn’t mean we’re always “working” when Skype is open but it does mean we are online and happy to answer questions or help out with something. This lets us dissolve the traditional barriers of being “at work” from 8-5 and then “unavailable” after 5. At all hours of the day, there is usually someone online to help out. Skype lets us send quick questions via IM, do quick voice calling over the Internet, or video conference if we need do. We can also easily do a screen sharing session if we need to demo something or illustrate a point. It really helps keep us all closely integrated without having to be in the same location. We would go nuts without Basecamp. This simple tool gives us an easy way to manage projects, todo lists, deadlines, discussions about tasks, and file sharing. Basecamp can be accessed via any device and is elegant and easy to use. No matter when we work, we can set up tasks in Basecamp, assign them to others, and then discuss the work right there in the system. It gives us a virtual bridge between people who might be working asynchronously. It also keeps work from slipping through the cracks. We have clients all over the country and when we need to set up a group meeting or meet with remote clients, GoToMeeting is our tool of choice. It allows conference calling, VoIP calling, screen sharing, video conferencing, meeting recording, and serves groups up to 25 people. It’s software-independant which means anybody with a web browser can use it. We’ve gotten so good with GoToMeeting that we don’t give it a second thought and we sometimes feel like we are collaborating better via GoToMeeting than in person. Let me count the ways we love Dropbox. Ok, I don’t have enough fingers for that. Dropbox is a virtual file server in the cloud that lets everyone work on the same files without having to email things back and forth. We have a nice, organized file structure set up and we can drag and drop files into Dropbox and edit them right there. Files instantly sync up so everyone always has the latest version. Dropbox is also available on iPad, iPhone, and other mobile devices so we can access files with extreme flexibility. When we want to quickly draft up ideas, take notes, or collaborate on a document together, we’ll use Google Drive (formerly Google Docs). A document within Google Drive is a living, editable document that is updated in real time as people make changes. All revisions are tracked and we can roll back any time. We can also easily share docs with others and export to PDF, Word, etc. It sure beats emailing Word documents around using the “track changes” feature. With Google Drive, everyone is always working on the same version so everyone is up to date. We do not buy deskop computers. Ever. Everyone gets a laptop, with no exceptions. We don’t want anyone to feel chained to a desk for any reason so our computer inventory is 100% mobile. We’re a Mac-centric team so we love the MacBook Air. It’s powerful, slim, and light weight and the battery lasts for most of the day. Additionally, we don’t buy desk phones. Everyone buys their own cell phone and we pay for the service. Why have a big, ugly, immobile desk phone sitting there when you could do the same thing on your iPhone and be mobile? This keeps us agile and connected from anywhere. One of the issues with having no set work schedule is that there is not always someone available to answer incoming calls. We solved this problem by working with Ruby Receptionists. The Ruby team answers our calls from 8am – 9pm Eastern time and greets our callers cheerfully and with competence. They know our business and we actually consider them part of our team. They will send calls to the appropriate person’s mobile phone. They send voicemails via email and take messages, as well. I’ve gotten client calls from other states and even other countries before and all the caller had to do was call the “office” to reach me. Simple and frictionless. These technologies really help us eliminate friction from our work. Team members are truly free to work when and where they want to while always having the ability to stay in touch, collaborate, and get work done. If you’re uncomfortable making the leap to a ROWE and adopting these kinds of tools, my advice is to take a leap of faith. Talk to people who are doing it on a daily basis. It’s dreamy to be in a place where the office is a tool, rather than a requirement. It’s a great tool for meetings, quiet work space, and client interaction, but it’s not a necessity. Our cloud-based systems give us total freedom and control so we can focus on the work. After all… that’s what’s important, right? Jody Thompson, along with her partner Cali Ressler, is the Founder of CultureRx and co-creator of the Results-Only Work Environment (ROWE). Jody is a nationally recognized keynote speaker and bestselling author. She has been featured on the covers of BusinessWeek, Workforce Management Magazine, HR Magazine, Hybrid Mom Magazine, HR Executive Magazine, and the New York Times. You can find her on Linkedin. I’d like to start my comment with a disclaimer: I am a believer in ROWE and I am looking forward to adopting it in my recently launch company. That being said, I think you should change your title and just keep “7 Collaboration Technologies You Need”. All those tools are the ones I used daily to communicate with my boss and colleagues who are in a different timezone and 13,000 kilometers away from me. And believe me or not, this company is very far from being anywhere near the ROWE philosophy. These tools are just useful collaborating tools. On the other hand, you don’t need at all these tools in a ROWE. You can adapt ROWE in a typical work environment. I was more curious about the tools you are using to measure results and success. Is Basecamp enough to validate the results of any work done? Won’t you like to have a piece of software which would allow you to set goals, measure the accomplishments and acknowledge results? Does that exist anyway? I think the point of the post was to highlight tools that make a ROWE operate especially smoothly. Can all of these tools be used in a traditional (yuck!) work environment? Sure. Can you have a ROWE without any of these tools? Sure. However, a ROWE + good technology is an especially productive environment. Eric – as part of our ROWE training workshops, we teach outcome-based goal-setting methodology to help individuals and teams get crystal clear on the measurable goals necessary to achieve the best business outcome. We also have a downloadable e-book – Building a Performance-based Work Culture (gorowe.com/booksandtools) that you might find helpful. Good luck with the launch of your new business! 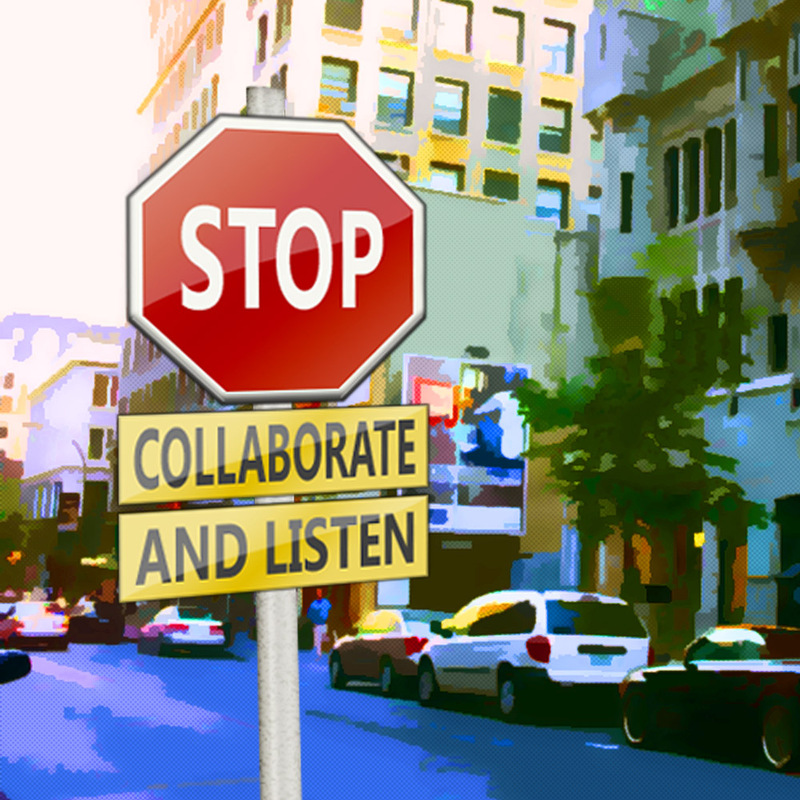 For every online business, all these collaboration technologies play an important role. I appreciate all these technologies. I agree that having an answering service for your business is a must. It gives you more time to focus on your business and let the professionals handle the admin task. Copyright © 2019 · Workology Inc. All Rights Reserved. Site Design by The Spinbird Group.